Dark matter is matter that doesn't give off electromagnetic rays, like light and radio waves, thus making it extremely hard to detect. But scientists know it's there because something must be there like this, because something is distorting electromagnetic rays and gravity. According to their calculations, there is more dark matter than visible matter (normal elements). Dark energy is a kind of bizarre energy embedded in space-time itself, fighting gravity and pushing everything outward. Now my theory comes into play. Instead of dark energy, which is expanding the universe, I have something different. Let's say our universe is a sheet with graph lines on it. You may have heard this picturing. Things with gravity are "balls" on the sheet. The more gravity a mass has, the heavier the "ball" is. If you place a heavy "ball" on the sheet, it will create an indention, and other "balls" will roll toward it. Imagine this as gravity. Now, a black hole has so much gravity that it has an infinitely heavy "ball". So, objects "fall" down the infinitely deep indention and into the black hole "ball". 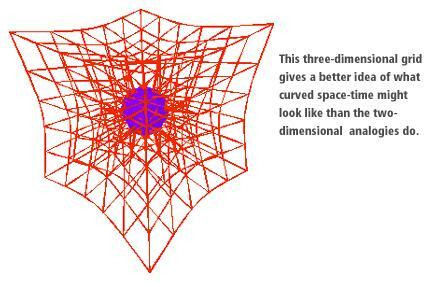 The graph lines are space-time and the black hole stretches space time so much as it pulls down on the "sheet" of the universe. Thus, space-time is literally stopped close to a black hole. Next, imagine 2 "universe sheets", one above the other. A black hole in one universe would stretch it's "sheet" down until it hits the other "universe sheet". Space-time from the two universes would merge and create energy. So, instead of dark energy, my theory explains space-time expansionism too. Look up MONT if you what to know what explains dark matter. MONTGISUD stands for: modified newtonian gravity interacting with sheet universe dispersion. Last edited by bgi; November 6th, 2013 at 02:27 PM. What came first matter or dark matter? MODERATOR ACTION : Moved to "New Hypothesis" section. I think he's referring to you signature -- he may have thought it was intended in response to the OP. Oh, that's just the equation of geodesic deviation. x is the unit tangent vector to our reference geodesic, is the separation vector between the geodesics, R is the Riemann curvature tensor, and D denotes covariant differentiation. All standard stuff. yes. I'm sorry. But i'm only 10! Is that actually true ? Even if it is (although I am skeptical about that), it is more important to check if MONTGISUD is a valid explanation. Only appropriate sources and a decent knowledge of modern physics could settle that. That certainly looks like an arrogant random "theory" to me. I know. i didn't say mine was an exeption. The more gravity a mass has, the heavier the "ball" is. If you place a heavy "ball" on the sheet, it will create an indention, and other "balls" will roll toward it. Imagine this as gravity. Now, a black hole has so much gravity that it has an infinitely heavy "ball". So, objects "fall" down the infinitely deep indention and into the black hole "ball". The graph lines are space-time and the black hole stretches space time so much as it pulls down on the "sheet" of the universe. Thus, space-time is literally stopped close to a black hole. So, according to you, gravity "pulls" spacetime all together. So much so that it "stops". Next, imagine 2 "universe sheets", one above the other. A black hole in one universe would stretch it's "sheet" down until it hits the other "universe sheet". Space-time from the other universe would leak into our universe. While, at the same time, spacetime leaks past these extreme gravitational singularities so easily that it's expanding the universe. Look up MONT if you what to know what explains dark matter. In that case I must say I am somewhat surprised, since not very many 10 year olds would even be aware of the concepts you have alluded to. If you are telling the truth, then kudos to you. Next, imagine 2 "universe sheets", one above the other. A black hole in one universe would stretch it's "sheet" down until it hits the other "universe sheet". Ok, the issue here is that you are taking the "rubber sheet" analogy too seriously - that isn't your fault though, since many people fall into this trap. You must remember that the rubber sheet is only an analogy, a simple visualisation tool, nothing more - it is not an accurate model of space-time, and fails to convey some of the main points of General Relativity. In reality space-time is 4-dimensional, and behaves nothing like rubber sheets. To come back to your original idea - while there is no reason for us to assume the existence of other universes ( though the possibility cannot be completely ruled out either ), there is a peculiarity to black holes which comes close to what you were picturing : it is in fact possible to replace the interior region of a black hole with an "Einstein Rosen Bridge", aka wormhole, through a simple coordinate transformation in the mathematical solution describing the black hole. Externally it would behave the exact same way as before, but beyond the event horizon there wouldn't be any interior region, but merely a wormhole connecting to some other place and/or time. Now, this other place will be somewhere in our own universe, there is not really any reason to assume that beyond the wormhole there is another universe waiting. So, instead of dark energy, my theory explains space-time expansionism too. No, because metric expansion has nothing to do with the existence of black holes; it is an intrinsic property of the geometry of space-time itself. Dark Energy only has the effect of accelerating the rate of expansion; the universe would still expand even without Dark Energy. Last edited by bgi; November 4th, 2013 at 06:09 AM. No, it's actually the other way around - gravity is an inherent, geometric property of space-time itself. 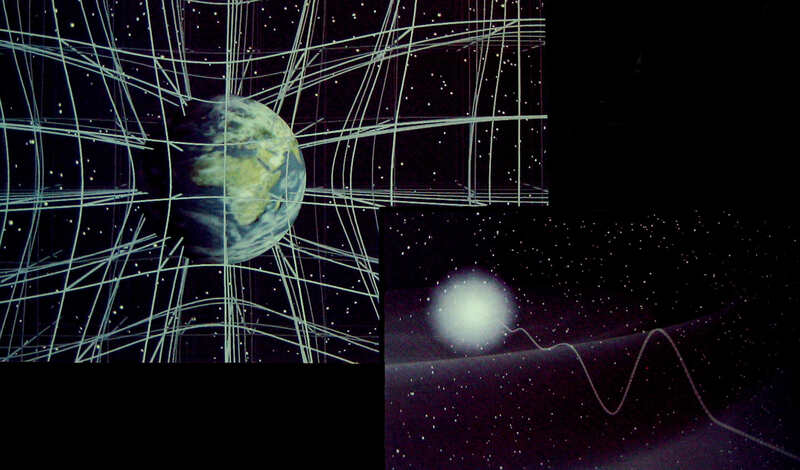 What changes the geometry of space-time is the presence of energy-momentum. If two sheets of space-time touch each other, than they combine. I don't see much reason to believe that this is what happens; I am certainly not aware of a credible mechanism for such a process. Also, I see no reason to assume the existence of other universes, though it is of course a possibility. From the big bang, everything is moving outward. It is more accurate to say that all events in space-time recede from all other events. This is not correct. The laws of gravity aren't affected by metric expansion - in fact, the expansion is a result of the geometric laws of gravity. Gravity gets weaker if two objects are farther from each other. Sorry if I said it the wrong way, but that's what I meant. Also, the way I see things, if two universes touch, only 3 things can happen: cancellation, merging, and deflecting. Every bit of knowledge in the world is either a science or an art, and mathematics connects the two. Music, behind silence, is the second best way to express the inexpressible. You appear to be tacitly assuming that two universes would interact according to the laws of classical mechanics; what do you base this opinion on ? You moderator just go around criticizing other people. Please defend your viewpoint first. How do we know space-time even exists? Have you ever fell into a black hole or calculated time near a red supergiant star? Our viewpoint is that of current scientific consensus; there is no need to "defend" it every single time someone has a problem with it. It has become consensus for a reason. So as you can see I don't just critizise, I put my money where my mouth is and present stuff, both the theory and its real-world support, in various threads on this forum. Have you ever "connected" with another universe ? Have you ever seen two universes merging ? No you haven't, and, unlike General Relativity, you have neither theoretical nor experimental support for your point of view. You have only an idea, which is fine, just don't confuse it with reality until such time that you can provide some empirical evidence. or calculated time near a red supergiant star? Well, I have calculated how long it would take to fall from rest at the event horizon of a supermassive black hole with mass of approx 15 billion solar masses into its center. The answer is 72.2 hours, or just over three days. I think this sufficiently qualifies. How do we know space-time even exists? Last edited by Markus Hanke; November 14th, 2013 at 06:16 AM. Please defend your viewpoint first. Why would people here need to defend mainstream science? There are countless papers and journals describing the work that hs been done. Because every experiment that has been performed is consistent with the theory and none contradict it. Can you demonstrate that the same is true for your idea? Dark energy, Dark matter, Fine tuning problem,Negative mass!